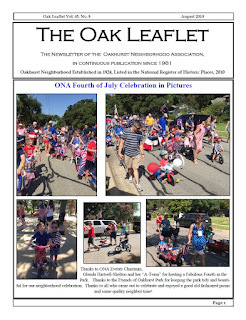 column in the newsletter stated there was no crime reported from the Oakhurst NPO this month. This is incorrect. While we are reviewing the policy for reporting the information, it was decided not to include a crime report in the August column. I am sorry for any confusion.